DAVID LE/Staff photo. 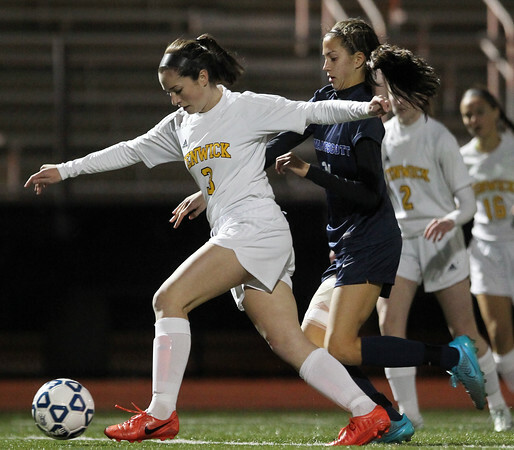 Bishop Fenwick senior Ellen Fantozzi (3) turns the ball to the outside while being pressured by Swampscott freshman forward Michaela Agresti, right. 11/10/15.